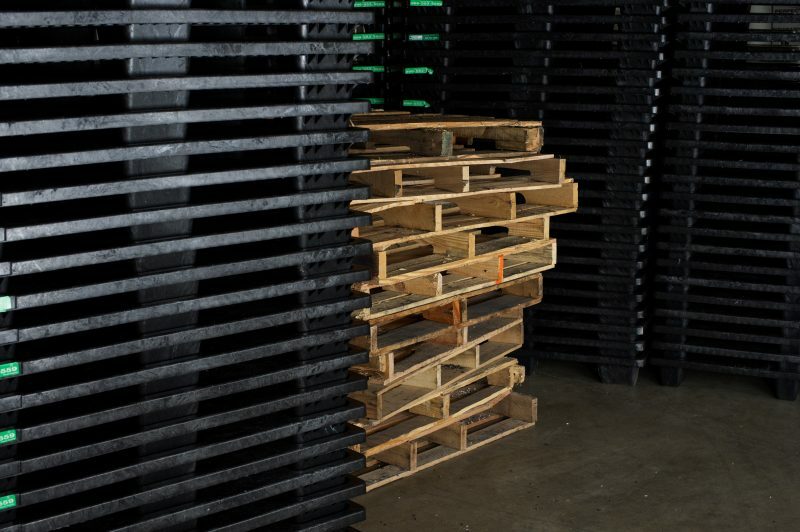 Perfect Pallets believes in the idea that a shipping pallet is a tool and not a one-use waste by-product. We stand behind a pallet that is solid, durable, hygienic, and sustainable. Within the United States today, there are nearly 1.8 billion pallets in circulation. A large portion of these pallets live a very short life ending up in local landfills. Split boards, rusty nails, and non-removable staples doom a comparable pallet to a decomposing future. Our customers are those that do not accept this as one solitary choice. They believe they can be part of a solution to eliminate waste, within their supply chain, at a competitive price. The close partnership we develop with our customers doesn’t stop when the truck leaves the shipping dock. With their help, we also engage with our customer’s receivers to educate them on the overall goal of sustainability by participating in our program. We prove to them the value in collecting, storing, and having our pallets available for free pick-up retrieval. Pallets do not last forever; including ours. But we’re okay with that. That’s why when we find a Perfect Pallet that has fulfilled its role and is ready to be retired, we remove it from circulation. Those pallets are then reground to be used again in a mixture which also includes other post-industrial recycled plastics. Born once more, we create another brand new Perfect Pallet. Perfect Pallets is committed to the sustainable future of our planet. Our goal is to reduce waste by providing an environmentally-friendly option for your supply chain. Perfect Pallets are 100% recyclable, so even when a pallet becomes unusable there will be no waste; it can be ground up and turned back into a new pallet. Usable in all climate conditions. Save space by interlocking together to stack and store. Can be easily cleaned (hot washed, steam cleaned or chemically sanitized) to remove any bacteria. Approximately 30% lighter than wood pallets, reducing the cost of shipping.